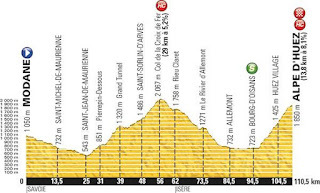 Do you believe you can win Stage 20 of the 2015 Tour de France? 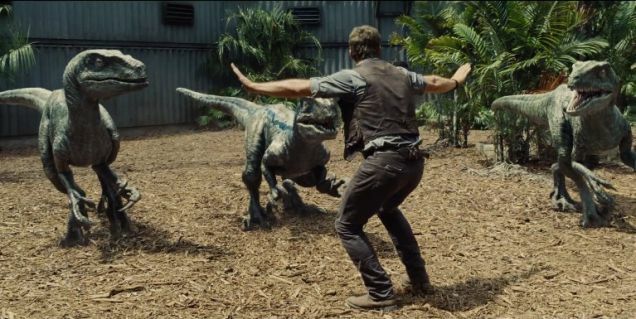 Do you believe that a Velociraptor can be trained? If you answered yes to any of the above questions, then you really have a compelling personal reason to join us at our monthly meeting. 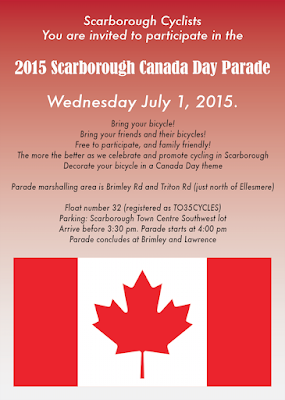 2015 Scarborough Canada Day Parade! 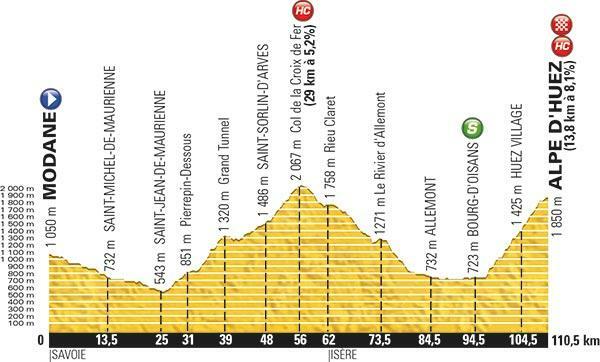 Bring your friends and their bicycles! Free to participate, and family friendly! 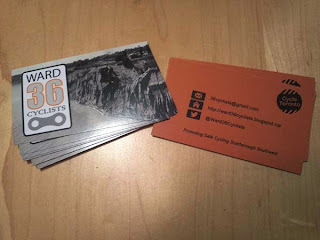 The more the better as we celebrate and promote cycling in Scarborough. Decorate your bicycle in a Canada Day theme. 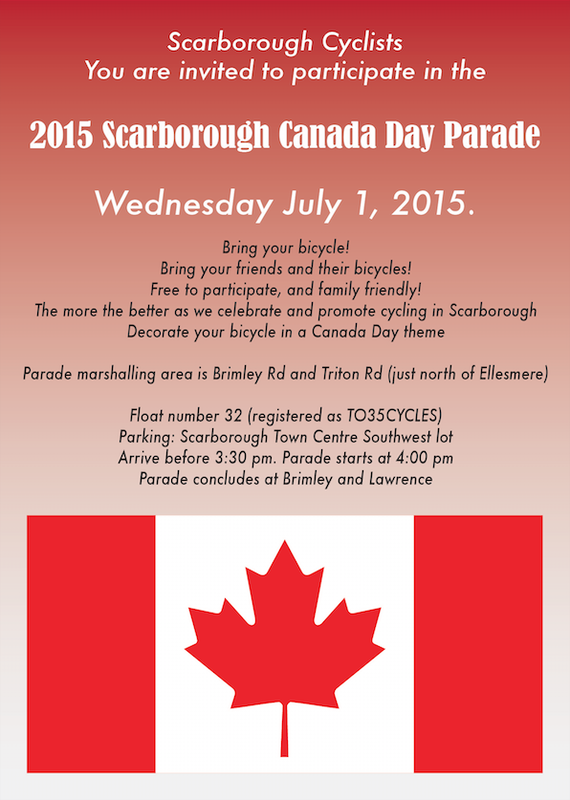 Parade marshalling area is Brimley Rd and Triton Rd (just north of Ellesmere). Float number 32 (registered as TO35CYCLES). Parking: Scarborough Town Centre Southwest lot. Arrive before 3:30 pm. Parade starts at 4:00 pm. Parade concludes at Brimley and Lawrence. Meeting Point: Taylor Memorial Library,1440 Kingston Rd. Let's ride west and check out Toronto's Port Lands. 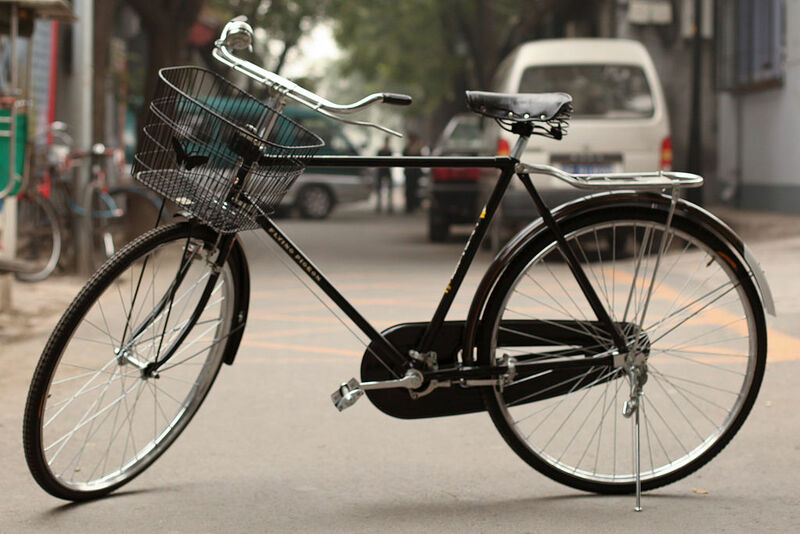 The ride will be family friendly and accommodate all fitness and skill levels. Saturday morning sunshine and friendly cycling camaraderie made for a memorable ride. Early estimates counted nearly 500 participants, which even included the inspirational Anthony Lue! A very special thanks to the Bells on Danforth organizing committee and their many volunteers for putting on a safe and family-friendly event. Also thank you to the Crossroads of the Danforth BIA for their continued support of safe cycling in Scarborough Southwest. 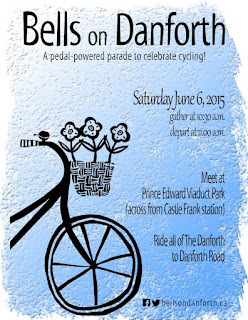 TORONTO: Cyclists of all ages from around the city will converge on Danforth Avenue on Saturday, June 6, at 10:30 a.m., ringing their bicycle bells for the fourth annual Bells on Danforth (www.bellsondanforth.ca) fun ride. 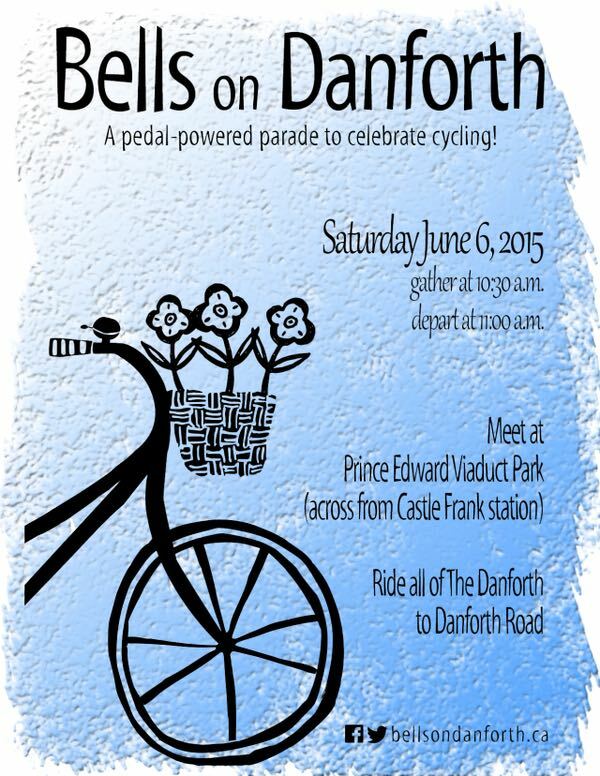 Both of its sister rides, Bells on Bloor and Bells on Yonge, are on hiatus this year, leaving the Danforth event as the only opportunity for families to join one of the popular family-friendly Bells rides. The pedal-powered parade turns things around in its fourth year, starting at the western end of the Bloor Viaduct and proceeding east along the full length of The Danforth all the way to Danforth Road. Special guests include Anthony Lue, a 2016 Rio de Janeiro Paralympics hopeful in the sport of handcycling, who will “slow down” to participate. Jennifer Keesmaat, Chief Planner of the City of Toronto, will be speaking at the ride. And Councillor Paula Fletcher (Ward 30) will make an exciting infrastructure announcement regarding the Lower Don Trail. 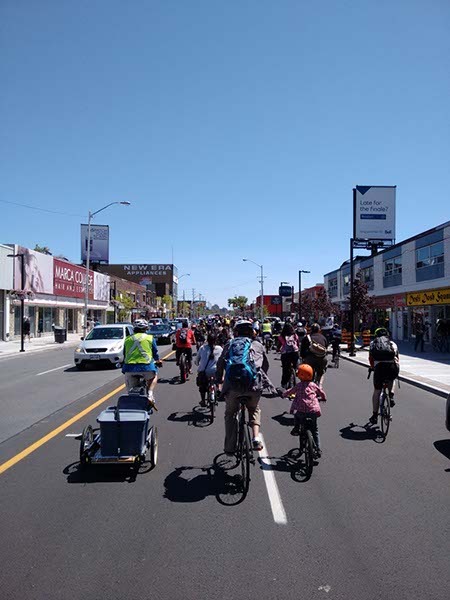 A recent study conducted for the Toronto Centre for Active Transportation (TCAT) showed that people who arrive at The Danforth on foot or by bike visit more often and spend more money on average than those who arrive by car or transit. The report echoes similar results from previous studies conducted in both the Annex and Bloor West Village, as well as in numerous other neighbourhoods and cities around North America. Bells on Danforth is organized by a coalition of cycling advocacy groups in Toronto’s east end, including Ward 29 Bikes (www.29bikes.ca), Ward 30 Bikes (ward30bikes.blogspot.ca), Ward 31 Bikes (twitter.com/ward31bikes), 32 Spokes (www.cycleto.ca/ward/32), TO35Cycles (www.to35cycles.ca), and Ward 36 Cyclists (ward36cyclists.blogspot.ca).